Specialist plant fairs and open gardens beckon, plus the chance to meet Paul Martin of Flog It! Avebury is celebrating the female archaeologists working there in the 20th century. Pick up a trail leaflet and visit the pop-up exhibition in the Museum Barn. Free with National Trust admission. Until November. TV wildlife presenters from Springwatch, Martin Hughes-Games and Iolo Williams present an informative and fun wildlife show with fascinating facts. Tickets £16.50 on 01249 446699; from 7.30pm-9.30pm. Dominic Seligman and Clara Rodriguez perform Beethoven’s Moonlight Sonata and ethereal French music in the drawing room at Arundells. £27 (with glass of wine), 01722 331440. Think you know your John Williams from your Robbie Williams? Your Bach from your Bartók? You’ll be tested to the max. Proceeds go to the centre’s 20th Anniversary Appeal. A semi-autobiographical dark comedy about finding your voice by Natasha Marshall from west Wiltshire. Jazmin doesn’t want to laugh at racist jokes in the local pub. She’s got to get out. Wander around formal gardens with mixed borders, and woodland with azaleas and rhododendrons at the home of The Lord Margadale of Islay. Entry £6 each or £12 per car; stalls to browse. In aid of the Eve Appeal. Fiona and Lis’s Tenth Business Birthday Bash will celebrate small businesses and raise money for charity. Paul Martin, presenter of Flog It! and a regular on Countryfile Diaries, is the speaker. Unique duo Paul Hutchinson and Paul Sartin mix traditional folk music with a touch of classical and jazz, throw in a bit of pop and music hall and top it off with their own brand of wry humour. Tickets £15, 01380 870765, 8pm. Wiltshire Family History Society will offer expert help with tracing your ancestors in Wiltshire, Somerset, Dorset and Hampshire. Be fabulous in fluorescents and join Salisbury Hospice Charity for their 10th annual midnight walk on a scenic route around Salisbury, beginning and ending at Five Rivers Leisure Centre. Trowbridge Chorus’s Spring Concert at atmospheric St James’s church will be a special affair. Soloists, orchestra and choir will perform Vivaldi’s Gloria and music from Handel’s Messiah. Tickets £10 on 01225 765573. Grammy-nominated jazz singer Stacey Kent and her five-piece band perform American standards, bossa nova, chansons and original songs from their new album, I Know I Dream. Tickets £23 on 01722 320333. Marlborough Folk-Roots present a brilliant duo seen annually in the St Agnes Fountain Christmas show, who always give a passionate performance with skill, superb songwriting and joie de vivre. Tickets £15 on 01672 512465. Discover nature’s wild food secrets on this half-day foraging course with inspirational tutor Fred Gillam. Enjoy a walk as Fred tells you how to identify plants in our hedgerows, fields and woods. Tickets £50 on 03442 491895. 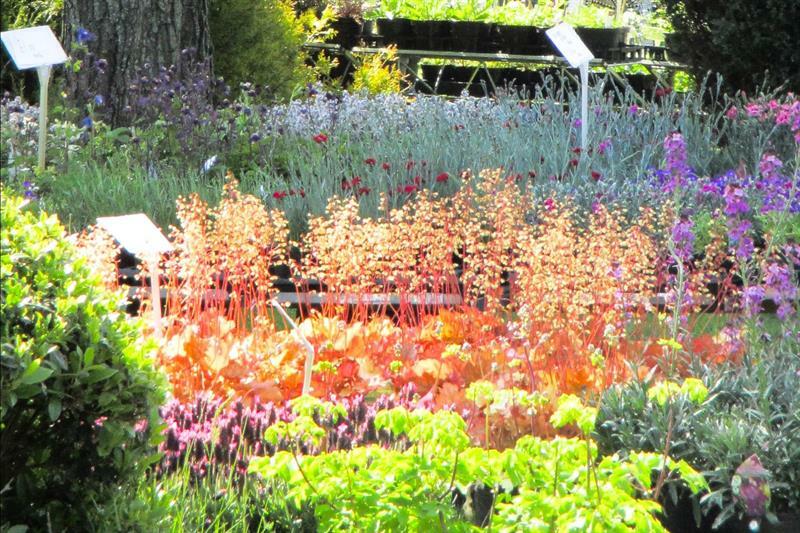 Discover an extensive range of plants from professional nurseries, garden equipment, woodland activities, farm animals, live music and a range of food and drink. Opens 11am, £5, ample parking; SN10 2QQ. Enjoy opera in the stunning Peto Garden. This new production by Iford Arts, with Opera della Luna, is directed by Jeff Clarke, whose inventive shows always delight. Tickets: £126-£130 on 01225 448844, May 26, 29, 30. Runners, walkers, cyclists and dog walkers are being asked to support the Wiltshire Wildlife Trust by undertaking the Sarsen Trail, with walks of seven, 11, 15 and 26 miles over ancient landscapes. Set in the stunning grounds of Grittleton Estate, browse 50 stalls, from specialist plants, food and toiletries to gifts and jewellery. Paddington will be there too.